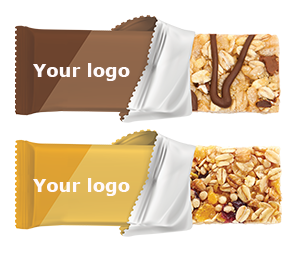 We will assist you throughout the creation process of your new private label bars in order to fully develop the potential of your ideas and bring them to market. To manufacture a bar that suits you, we can either create a new bar according to your specifications or draw inspiration from one of our existing formulation. 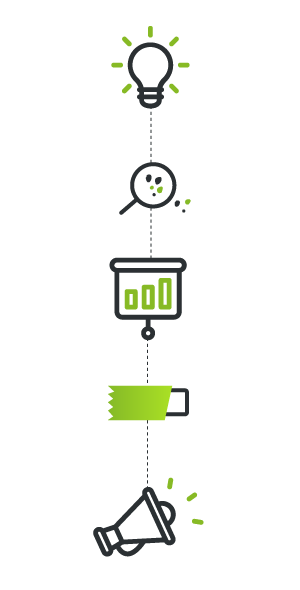 Thanks to our responsiveness and flexibility, you can launch your private label bar on the market within 4 to 9 months (according to the complexity of your project). Our company has been working with Yourbarfactory for the past 3 years and we couldn’t be more pleased. Yourbarfactory’s team is detail oriented, communicative and transparent. They are extremely knowledgeable about the bar business. Our Company / Vendor relationship is truly a partnership. Quality is never compromised. If you choose Yourbarfactory, you will not be disappointed! Our partnership with Yourbarfactory has been nothing short of amazing. The company’s capabilities and innovativeness allows for endless product possibilities. The team is very reliable. 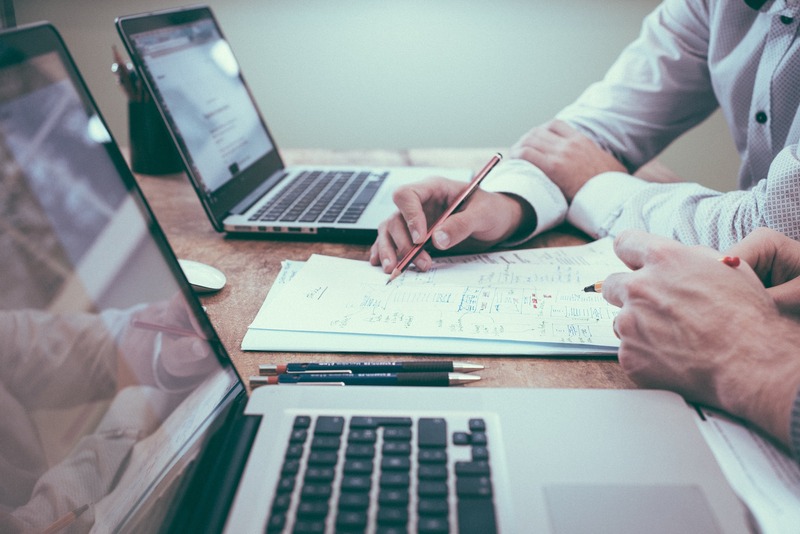 Yourbarfactory has been able to provide a solution to our company’s needs through the flexibility and precision of their business operations. If your company is located in the European Union, the importation of your private label bars is duty-free thanks to the Comprehensive Economics and Trade Agreement (CETA) signed between the European Union and Canada. Whether you are in Europe, Asia, Africa or America, we will be your reliable partner to create your private label bar. Our experienced and enthusiastic food scientists are always on the lookout for new ingredients and emerging trends, giving you an undeniable competitive advantage on the private label bar market. Our goal is to provide you with customized, unique and tasty bars, prepared with high-quality ingredients. Yourbarfactory, manufacturer and co-packer of private label bars, has a modern and efficient manufacturing layout. No matter the size and the complexity of your project, we have the necessary equipment to manufacture the bar you want to sell. 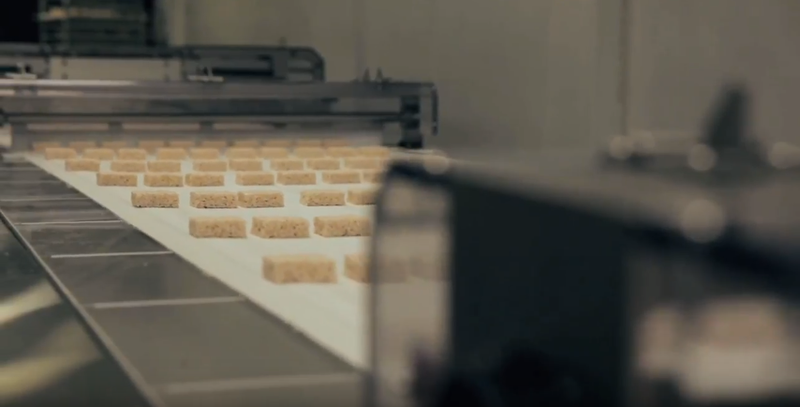 Our 40,000 square feet factory can produce 150 million bars per year. Our 2 production lines and our 5 packaging lines allow us to be responsive, flexible and achieve your manufacturing lead-times. At Yourbarfactory, quality is our priority: our professional team and excellent manufacturing equipment guarantee you that we manufacture your products according to the highest standards in the food industry. We respect quality standards that are internationally recognized: we have been Certified SQF level 2 for the past 8 years. 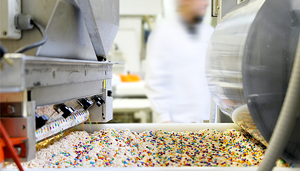 In order to guarantee the taste quality and the absence of allergens in your private label bar, our quality experts control each stage of the manufacturing process, from the reception of the raw materials to the shipment of your finished goods. Foil inner wrappers, transparent wraps, printed wraps or clear wraps …. If you desire, we can also manage directly with the selected printers. Once these materials are purchased, we can actually store all your packaging requirements in our warehouse. Our R&D team will write the nutritional statements for you, to ensure that your private label bars comply with the requirements of the regulation agency of your area. 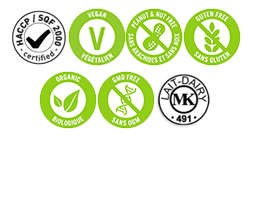 Our regulatory affairs team make sure that the claims (nut-free, peanut-free, gluten-free, GMO-free…), the nutritional statements and the packaging design of your bars comply with the laws of your targeted market, whatever the country.